The Denver Museum of Nature and Science is located close to downtown and offers a full-service facility with unobstructed rooftop views of the Denver skyline and Front Range mountains. If you’re looking to stay in the city and still wow your guests then you should tour the Denver Museum of Nature and Science. 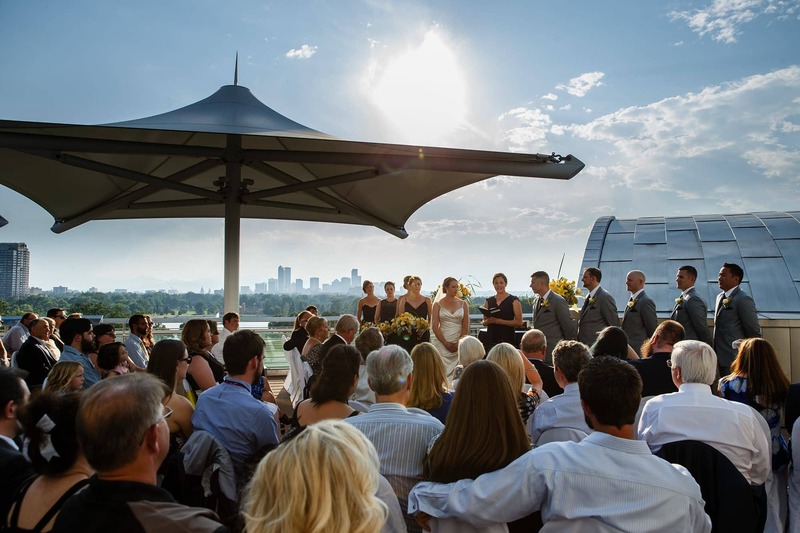 The outdoor ceremony location on the roof deck is unlike anything else in the city of Denver. Inside there are more reception spaces than we can name. 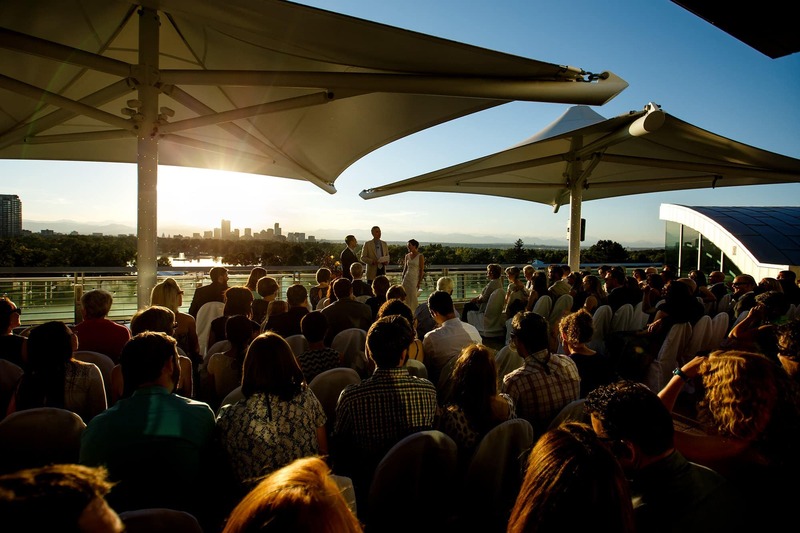 The vast size of the museum allows it to accommodate weddings up to 500 seated guests. The museum is also a full-service facility, providing all on-site catering and beverages. The staff hosts large scale events all the time so you can expect exceptional service on your wedding day and throughout the process. Your guests will love how close it is to the city center because of the nearby hotels, nightlife and entertainment options. The view on the rooftop is amazing but the west atrium is a cool space as well. It several floors which makes it easy to host cocktail hour, dinner and dancing all in different locations if you wish. Its close to downtown which means you can still have photos in some of the best city locations and make it back in time for the start of your reception. City Park is just outside the museum doors which is a great location for family photos.